The Belgian tuner has tricked out everything from the Golf Cabrio to the Porsche Panamera. Caractere Exclusive is a Belgian tuning firm that specializes in tuning cars under the large Volkswagen Group umbrella. True, Caractere might not substantially increase the power of the cars it tunes, but what these models lack in power, they more than make up for in looks. 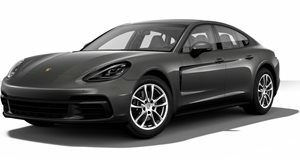 That being said, the cars here are no slouches on the Autobahn-at least the Porsches aren&apos;t. If you&apos;re a fan of German cars sporting classy body kits, and you know you are, continue reading below. Caractere showed the Audi A1 some love in the form of a new body kit. The kit is composed of a new three-piece front spoiler, a rear roof spoiler with air extractor, chrome tailpipes and side skirts. CW118-inch aluminum alloys round out the package. 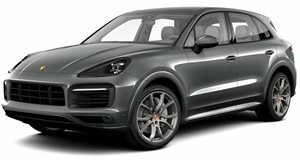 The second-generation Cayenne was given the Caractere treatment earlier this year. The Belgian tuner installed an aerodynamic body kit, a sports-tuned exhaust, a carbon fiber interior piece and a new set of alloy wheels. The rims vary in size from 20- to 22-inches and come in CW1 Graphite or Silver designs. The body kit consists of a new rear skirt and side sills, wheel arch extensions and a small roof spoiler. 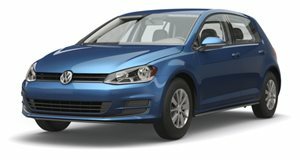 If you&apos;re one of the many who wishes that Volkswagen would bring the Golf Cabrio stateside, then you might want to avert your eyes. (There&apos;s a good chance that this Caractere Exclusive custom job will break your heart just a bit.) This simple package consists of a new grille, front and rear bumpers and a set of CW1 wheels. Sometimes simple is better. Caractere and Dynatek teamed up to create a more powerful and aerodynamic Porsche Panamera. New 200-cell catalytic converters and a sport exhaust system help push the SUV to 596hp. A new front bumper with integrated lights, a set of side skirts, a new rear bumper, a rear spoiler and 22-inch rims round out the package. Carbon fiber bits are sprinkled throughout the interior. This Porsche 911 was a Caractere offering circa SEMA 2012. 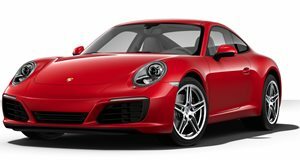 The 911&apos;s body kit features built-in air intakes, a custom set of side skirts and a fixed rear wing with integrated third brake light and engine vents. A sports exhaust system with dual round tailpipes and valve control, and a set of three-piece Modulare wheels (available in 20- and 21-inches) complete the package.